Visibility into the entire process of shipment delivery is an important aspect of supply chain logistics. It allows logistics businesses to avoid delays, supply chain disruptions and revenue losses for the end customers. Analytics also plays an important role as it converts raw data acquired from different sources into meaningful information that can be used to make better decisions that impact operations, revenue or fleet customer satisfaction. FleetOptics - a final mile delivery firm that provides fleet customers with Final-Mile Logistics and Analytic Transportation Solutions. It offers a dedicated fleet of drivers to its customers, who are equipped with Android phones. These devices can be tracked using its proprietary web-based technology called FleetOptics Access. The plug-and-play solution requires no additional investment or integration with the operating platform on the customers’ end. FleetOptics Access​ is a suite of web-based tools for B2B as well as B2C that provides both Final-Mile Logistics’ clients and their drivers access to real-time information and metrics about their shipments. This technology helps shippers locate their fleet, track the drivers, measure their speed of delivery, provides online access to invoices, proof-of-delivery forms and other key documents. FleetOptics’ tools allows businesses to view customer inquiries, daily driver sheets and collect real-time reports for improved decisions on costing per stop/unit, financial reporting and fleet wide KPI’s. By combining the transparent accuracy of analytic data with Final-Mile Logistics Services, FleetOptics provide businesses an efficient way to manage the entire delivery process and reduce overall costs. 1. Manually installing applications on a large number of driver devices and updating them regularly was time-consuming and cumbersome. 2. Returning the faulty devices to the center for diagnosing and troubleshooting was difficult as the devices were constantly on the move. 3. 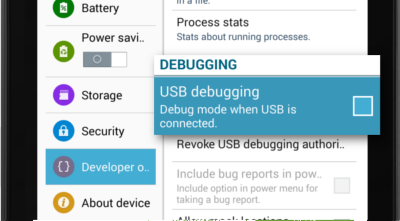 Drivers tampering with the device settings. 4. High expenditure incurred by unauthorized apps downloaded on field devices. 42Gears UEM provided the following features to control driver devices. 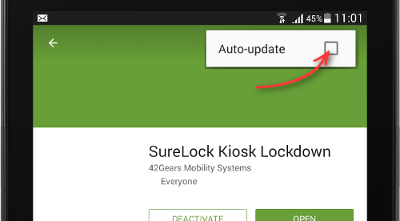 Installation Jobs: This feature helps FleetOptics to remotely install, uninstall and update their business application on the Android devices used by their drivers. Remote Support: FleetOptics uses this feature to remotely access the device settings, regularly diagnose and troubleshoot technical issues with the devices. Kiosk Lockdown: By applying lockdown restrictions on the devices, FleetOptics is able to prevent the workforce from misusing them. Telecom Management: Data usage option under 42Gears UEM’s Telecom Management feature provides FleetOptics a comprehensive view of the overall usage of data, allowing them to better manage the data expenses. The implementation of 42Gears UEM solution was completed within a week with the help of quick response from 42Gears tech support. FleetOptics found 42Gears UEM’s Remote Support to be the most helpful feature as it allowed them to remotely manage the devices from a central console and save time on device return to the service location for troubleshooting. 1. The number of technical incidents has reduced by 30%. 2. Real-time shipment transparency to the customers has improved. 3. The downtime of the tablets while fixing a remote issue has reduced from several days to just a few minutes. 4. The drivers are able to stay focused on their deliveries with little to no downtime due to technical difficulties. "FleetOptics was able to overcome a number of obstacles, with remote troubleshooting, restricting use of devices for strictly company purposes. The enrolment process could be a little more streamlined with the Nix Agent and SureLock on top. Overall it is very intuitive and very easy to use. Offers many features that are limited with other MDMs. Technical support has been fast and effective."